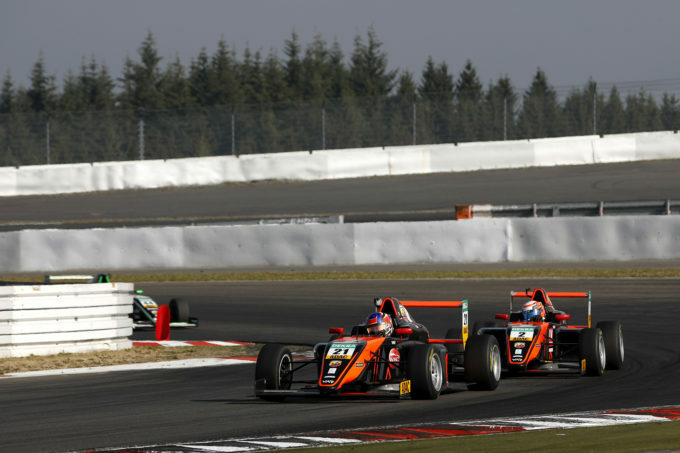 Van Amersfoort Racing raced successfully during the penultimate round of the German ADAC Formula 4 Championship. At the shortened version of the Nürburgring Grand Prix track we’ve added a fifth victory to our tally. One more podium finish yielded the total podium results this season to 18. The high temperatures of 30+ degrees Celsius in the German Eifel region made it even more demanding for our five young guns. The fastest time in the first free practice for Frederik Vesti showed our potential at the Nürburgring ‘Kurzanbindung’, the shortcut 3,629 kilometers version of the Grand Prix track. In qualifying the Dane put himself in fifth position for race 1 and secured a front row spot for race 2. Runner-up in the championship, Liam Lawson, reached for P4 on the starting grid for race 1 and P6 for race 2. Charles Weerts clocked an 8th fastest time for race 1 and put himself on P7 for the start of race 2. Joey Alders and Lucas Alecco Roy were both able to position themselves inside the top 15 for both race 1 & 2. During the chaotic start of race 1 on Saturday morning, Frederik managed to gain a position from 5th to 4th. Later he was able to also make a move on David Schumacher, which brought him the final place on the podium. Teammate Liam Lawson lost out one position at the start by trying to avoid a crash and finished 6th. Charles Weerts collected some healthy points by finishing 7th, while Lucas Alecco Roy made it from P15 to P13. Joey Alders did not finish after being hit by another driver in the opening stage of the race. Starting from front row, Frederik showed his cool during race 2. Round after round the Dane was on the tail of Lirim Zendeli waiting for his chance. Ten minutes before the checkered flag Frederik managed to pass the championship leader on the inside for his second victory of the season. After a restart, Liam Lawson unfortunately lost his front wing in a battle with Mick Wishofer. The New Zealander had to pit for a new wing and after this loss of time, P15 was the best he could do. 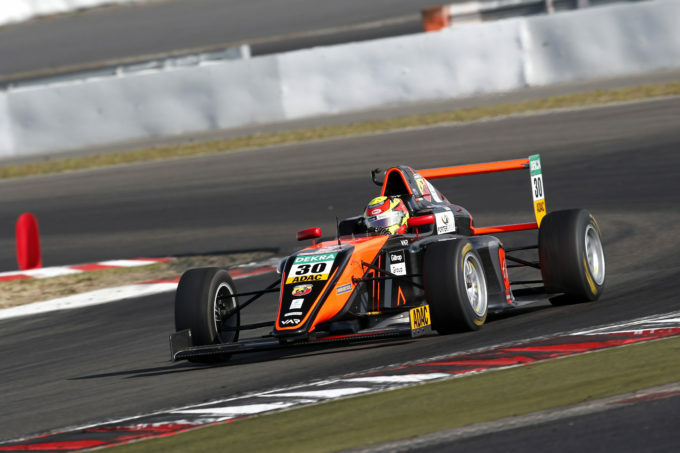 Charles Weerts ended in a high from P7 to P5, marking his 8th top 5 result of the season. Joey Alders bounced back from his bad luck in race one with a well-deserved 10th position. During the race he managed, with some spectacular overtaking, to gain three positions. Lucas Alecco Roy also made good progress and worked himself up from P15 to P12. Being fourth on the grid for the final race, Charles Weerts had the best starting position of all 5 VAR drivers. The Belgian lost his initial starting position but battled his way back to fourth in great style. Winner of race 2, Frederik Vesti, started 8th on the grid, battled for every position in the 30-minute race and finished 6th. Lucas Alecco Roy showed his progress by finishing tenth and scoring championship points for the 5th time this season. Since the result of race 2 determines the starting position for the final race, Liam Lawson was on a difficult mission from 15th on the grid. In the opening round he made serious progress to 12th position but then he damaged his front wing. He had to pit for a new wing and eventually finished 14th. Joey Alders did not finish race 3. An unfortunate error got him stuck in the gravel. 1. Lirim Zendeli (US Racing) 292 (Champion); 2. Enzo Fittipaldi (Prema Racing) 213; 3. Liam Lawson (Van Amersfoort Racing) 201; 4. Frederik Vesti (Van Amersfoort Racing) 196; 5. Charles Weerts (Van Amersfoort Racing) 140; 11. Joey Alders (Van Amersfoort Racing) 38; 16. 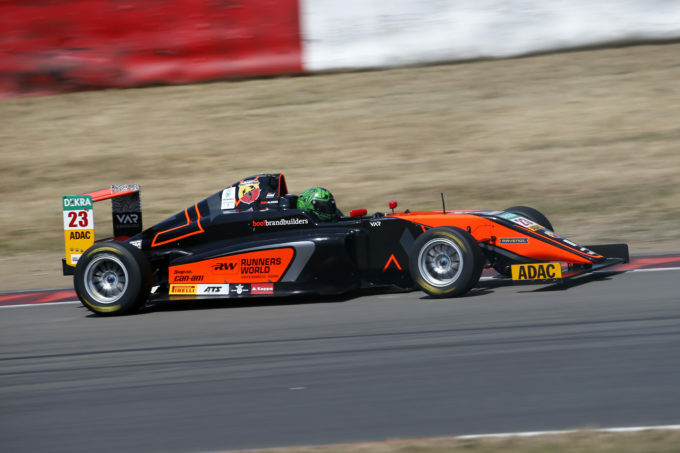 Lucas Alecco Roy (Van Amersfoort Racing) 10. 1. David Schumacher 284; 2. Niklas Krütten 264; 3. Gianluca Petecof 199; 4. Joey Alders (Van Amersfoort Racing) 166. 1. US Racing 467; 2. 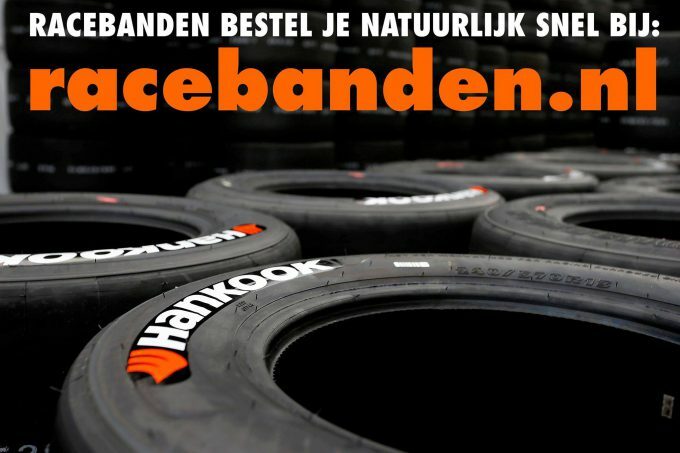 Van Amersfoort Racing 448; 3. Prema 367.